Happy belated Easter! Last weekend I made some carrot cake cupcakes for Easter which were fun and delicious, (You can check them out on Instagram.) 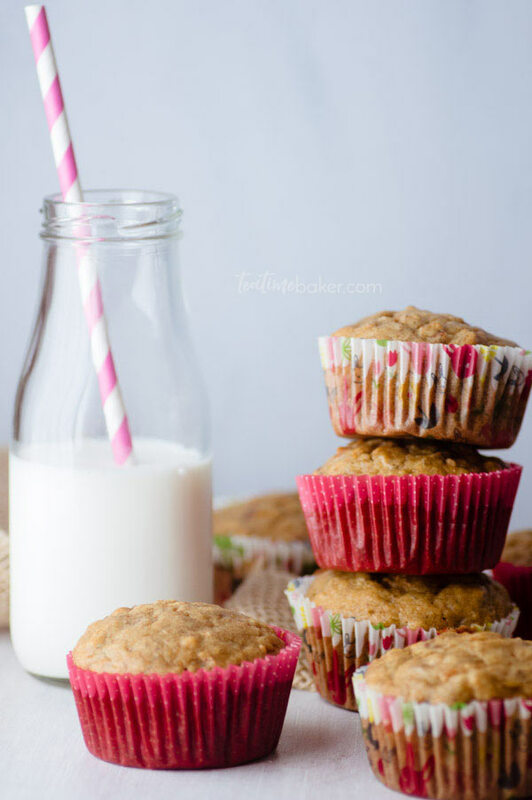 and this week I decided it would be fun to turn them into Healthy Breakfast Muffins. It feels like the right kind of thing to eat in the springtime. Plus I needed to use up some bananas! I started with bananas and carrots and added pecans, oatmeal and some whole wheat flour. 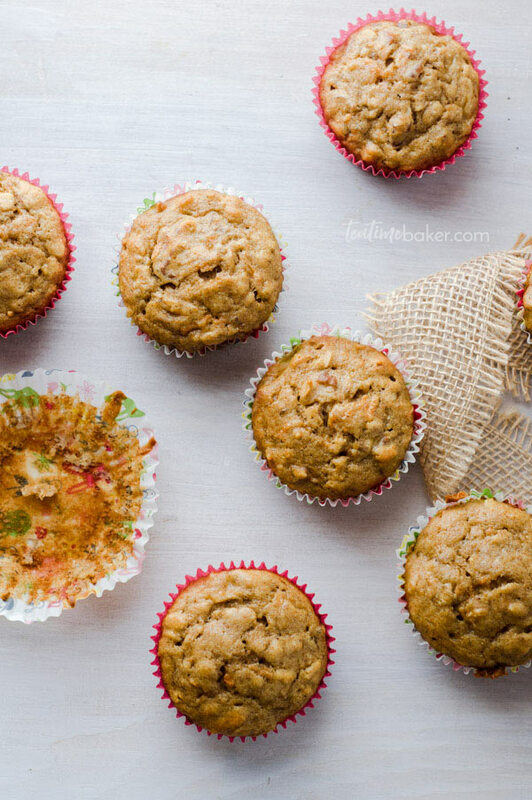 These muffins are surprisingly light and not at all dry. I used coconut milk for mine because half the family is now dairy-free. You could easily substitute regular milk, buttermilk, or Greek yogurt instead.